As Trouble and Strife launches its digital archive, Rosie Fox considers the benefits of printed magazines. The feminist journal Trouble and Strife (T&S) is a quirky, visual, yet delightful maze of a journal. Launched in 1983, T&S acknowledged its radical feminist outlook in the name: ‘trouble and strife’ is Cockney rhyming slang for wife. The founders chose this name because it acknowledged ‘the reality of conflict in relations between men and women’. And the magazine’s politics came ‘directly from this tension between men’s power and women’s resistance’. As such its articles covered a wide range of themes, and features in the journal ranged from discussions of class in the women’s liberation movement and exploring psychoanalysis and Freud (issue 1); from the black women’s movement in Brazil (issue 29/30) to a special publication concerning feminist perspectives after 9/11 (issue 43). T&S was forced to cease printing for good in 2002 – citing high printing costs and the effort required to maintain its rigorous standards of journalism while still ensuring regular output – as the reasons for this decision. At a launch event for its online archive, the T&S founders expressed sadness at the move away from the journal’s printed, physical, quarterly form to a new, sporadic online forum. Initially it was suggested that feminist journals, a flurry of which emerged in the 1980s in the UK and elsewhere, arose out of the desire for new avenues of expression. Over their long history, feminist magazines or journals have allowed women to ‘write their own history’ – a history in which they are free to choose not only the language, but, importantly, the form and the means of expression too. This has been evident from pamphlets circulated by the suffragettes to Spare Rib magazine; these were created from the ground up to suit the purposes, agenda, personalities and the humour of the contributors. T&S emphasised the significance of cartoon strips and illustrations which were a heavy feature of its output. In this way it was able to combine journal-style pieces with quirky satirical chunks, and reflect the multiplicity of interest and intent that makes up the radical feminist agenda. The issues are presented in the archive in pdf form so as to maintain the look of the illustrative elements, but these are not as striking and provocative as they were when viewed in an actual physical copy of the publication. 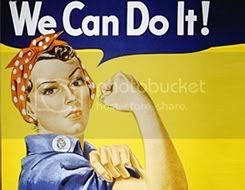 Further, the printing of feminist journals and magazines allowed those with relatively modest experience in press and publishing to get involved in media – cutting and pasting pictures by hand, scanning items and editing multiple times without limit to ensure quality output. This is not only more liberating in that it explodes the clique, exclusive vision of the media sector but also in the proviso that feminists could create pieces that were more truly reflective of their experiences and creativity. It is arguably more difficult to come across such material online, unless you are searching for particular thematic elements or are already fostering an interest in these kinds of outputs or debates. Also, with online versions individuals are limited by the potential of web hosting and the ability to navigate website design when attempting to produce unique, bespoke platforms. By no means is this a slight on any feminist’s ability to exercise these skills and effectively use these tools; it is a comment on the requirements that online media demand. And, it should be noted, this argument is not to say that feminist online forums/websites/magazines are not valid ways of drawing attention to, and contributing considerably to, challenging gender inequality. To conclude, printed feminist journals and magazines allow for a physically evident, profound connection between modern feminists of all varieties and perspectives and the debates and campaigns of past feminisms. These tangible items also express that there is, contrary to the belief of some, a long history of feminism and activism within the feminist community and womankind at large. This is key in establishing the future of feminism, and maintaining momentum and progress. However, regardless of form, it is beneficial socially and politically to discuss issues with other feminists – even and especially when there are contrary opinions present – and produce materials that illustrate and provide motivation for change and – significantly to find a way to ‘write your own history’. And if you are looking for physical reading material, the Feminist Library, with its extensive collections of women’s magazines, journals, fiction and non-fiction is well worth a visit. Chaotic but pleasing. A digital collection of all 43 issues of the journal is available here.